RETAIL IN AUSTRALIA: CRISIS OR OPPORTUNITY? ANY NOISE AROUND THE RETAIL INDUSTRY IN AUSTRALIA IN 2018 SEEMS TO COME DOWN TO THE FAILURES OF CONVENTIONAL BRICKS AND MORTAR RETAIL. THE STRUGGLES OF LEGACY BRANDS MAY DOMINATE THE HEADLINES BUT IN EVERY CATEGORY IN RETAIL THERE IS A DIFFERENT MARKET LEADER UNDERTAKING SIGNIFICANT, STRATEGIC TRANSFORMATIONS TO ESTABLISH A SUCCESSFUL FOUNDATION FOR THE YEARS TO COME. 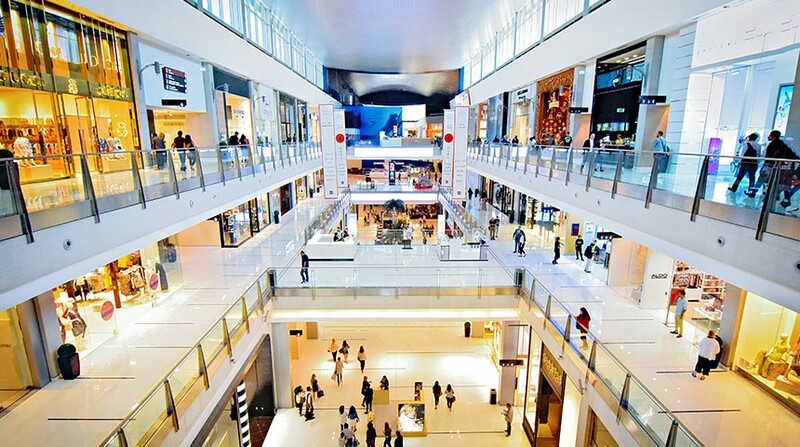 The current view is that retail in Australia is a battle between e-commerce vs. bricks and mortar with e-commerce laying waste to storefront retail. Any successful retailer in Australia has e-commerce as an essential part of any business strategy to succeed long term. IBISWorld estimates that e-commerce in Australia is a $20 billion industry employing nearly 70,000 Australians while growing 13% year on year. This is one statistic that highlights the incredible opportunities in retail as customers are demanding that retailers invest significantly in e-commerce. In a time poor world, customers and in particular millennial consumers want choice and flexibility in their retailers. Although there is a challenge coming from fast fashion and online retailers like Amazon and ASOS, the reality is that legacy brands in Australia matter. Legacy businesses may not have been the first movers, but they are currently undertaking large scale transformations that are some of the most exciting in Australian business. Businesses like Officeworks have had success in understanding the needs of their customers and offering them options up to near instantaneous fulfillment in local stores. This is a perfect example of an established retailer adapting to changing customer patterns to great success. Officeworks have increased their investments in systems and transformation to ensure they meet the changing needs of their customers and to future proof their position in the market. The investments are significant, the projects are demanding but the returns are worth it. As always, industry change and transformation leads to a demand for people who are able to devise and implement strategies that future proof businesses. This in turn provides opportunities for people who have worked on or are able to add value to these organisations. Project Resource Partners is a specialist recruitment consultancy with a focus on business transformation. I lead our retail practice and see every day the investment in transformation that Australian retailers are undertaking to appeal to more shoppers in more ways. Click and collect, same day and next day deliveries, smarter warehousing systems and cutting edge use of business intelligence are just some of the examples of new projects we are seeing businesses execute to ensure that retailers prepare themselves for their futures. I lead the e-Commerce, FMCG and Retail portfolio here at Project Resource Partners. I have been partnering closely with leading organisations across the sector to assist them to establish business transformation teams, project management offices as well as a multitude of roles spanning across project services, business process improvement and business analysis.